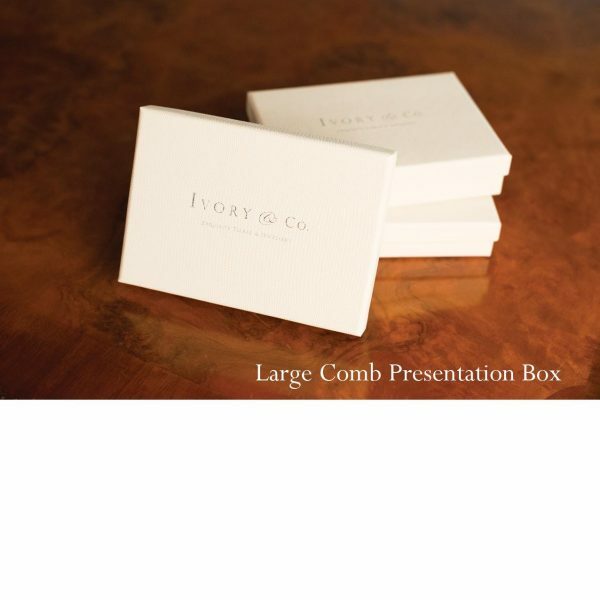 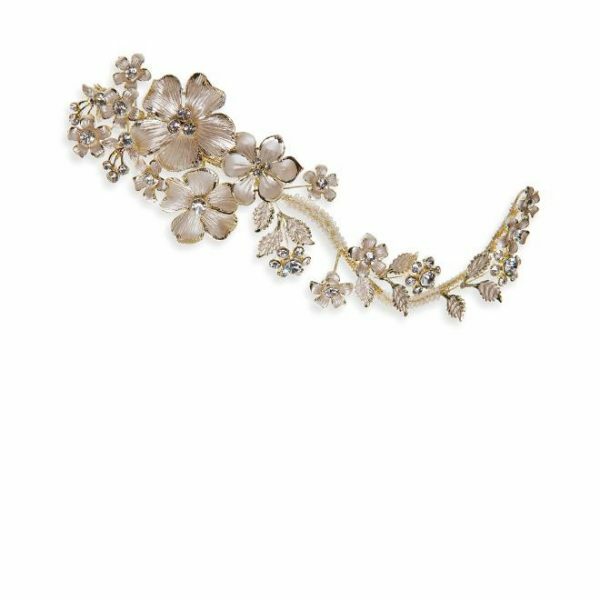 Ivory and Co Autumn Sky Gold hair vine. 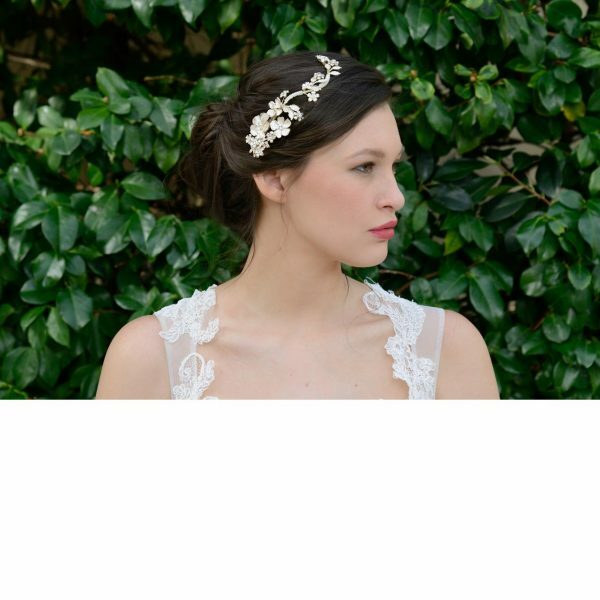 A stunningly beautiful hair vine in gold for the bride who needs the Midas touch! 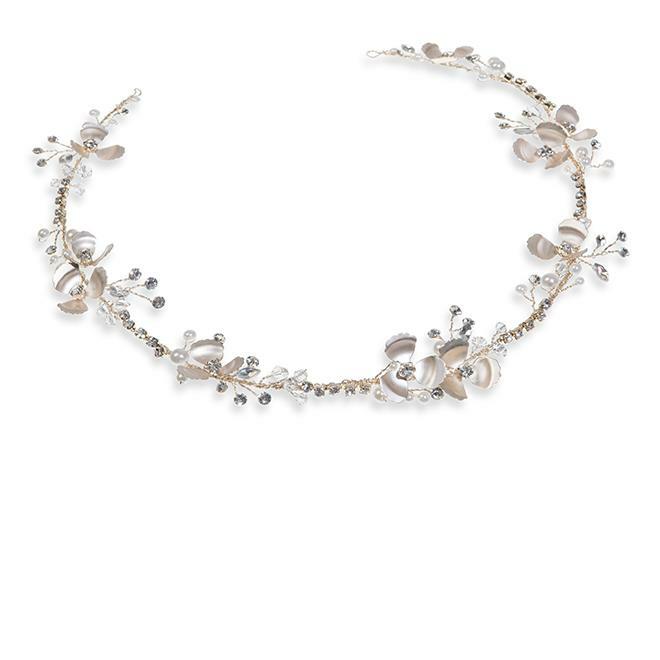 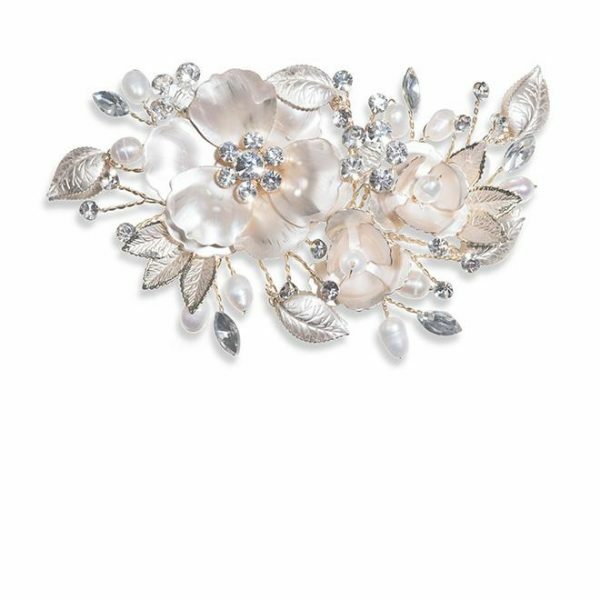 Made from solitaire and marquise set stones, ivory freshwater pearls and dainty hand enamelled flowers, set in an interwoven vine pattern. 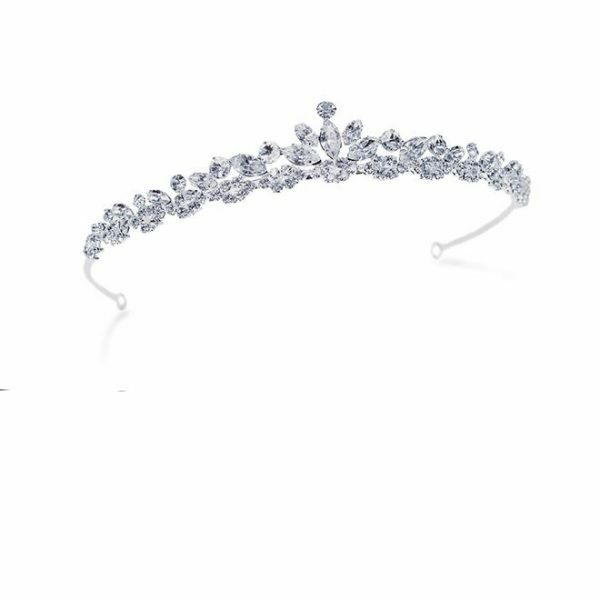 Approx 48cm long and 3cm at the widest point. 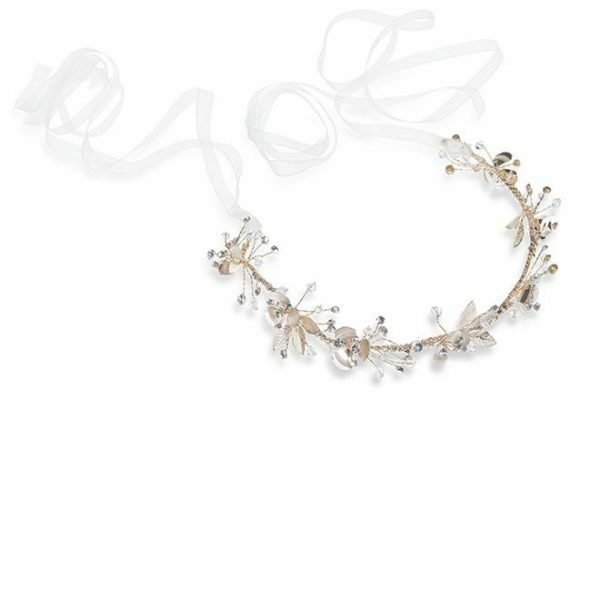 Autumn Sky as the name suggests is the perfect headpiece for the bride who demands a fairytale element to her outfit – a Boho inspired luxe vine headpiece made from a special flexible metal to allow complete comfort and can be worn high on the head as a tiara, woven into a long plait or wrapped around a chignon or over the forehead. 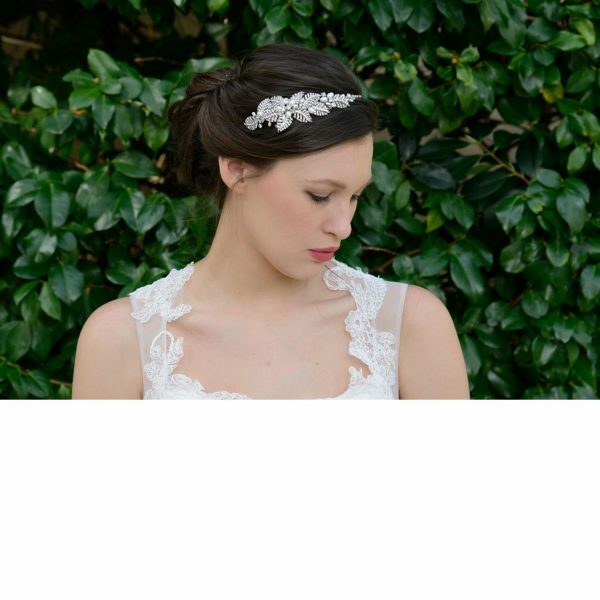 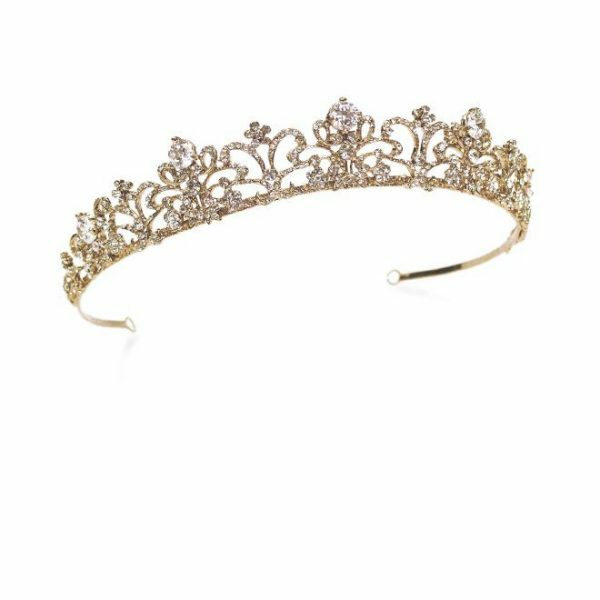 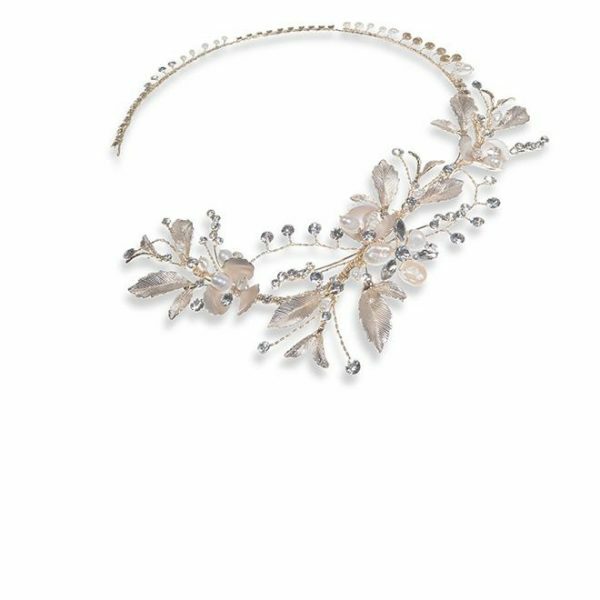 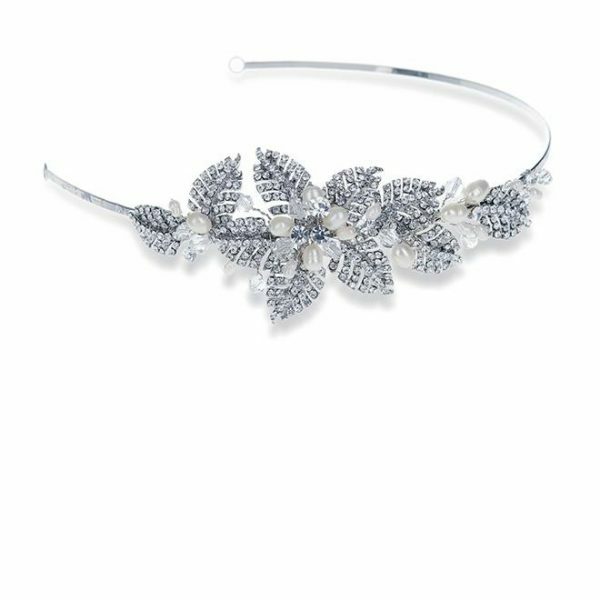 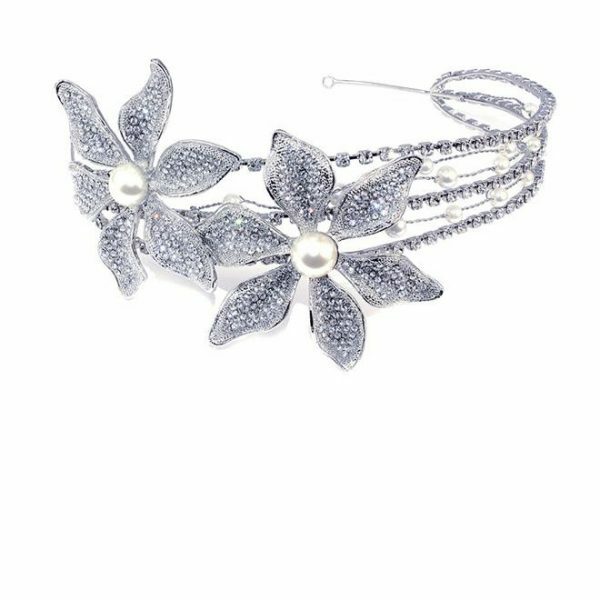 This headpiece looks simply stunning with hair up or down and is ideal for fine hair with backcombing as a less heavier option than a full-on tiara.